Always put out this new #LikeAGirl video which mentions a pretty depressing stat — most young girls drop out of sports by the time they’re 17. And that’s a problem, not because taking part in sports helps keep young women active, healthy and fit, though I’m sure it does, but because taking part in a sport is linked to an increase in self confidence. 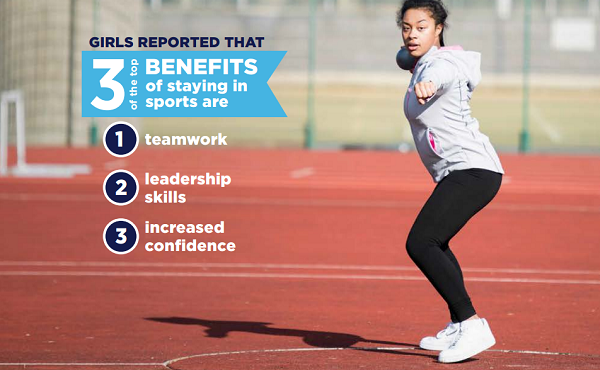 A recent survey showed that sports are critical in building confidence and women in the 18 to 24 age range are twice as likely to be confident if they play sports regularly. However, nearly 7 out of every 10 girls feel they don’t belong in sports, and say there aren’t enough female role models in sports today. When I was a kid I played soccer on my school team for two years. While I was a far cry from an Olympic athlete, it was a fun activity that was a source of pride for me at the time. Heck one of the girls I met while playing on that team is one of the few friends I still know now, some thirty years later. I quit when I was somewhere between 12 and 13 years old, right when puberty started to hit me pretty hard. Coincidence? Always believes no girl should lose confidence at puberty. That’s why, in celebration of the 2016 Olympic Games, Always invites everyone to pledge to help keep girls playing! Upload a picture, shoot a video or tweet using #LikeAGirl and show the world how you keep playing #LikeAGirl. 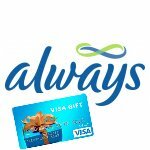 which will include a $50 Visa gift card and $20 in Always product. To enter watch the new video and then share what you do to help the young women in your life keep playing #LikeAGirl. We need to make sure they feel self worth and confident so no one can try to steal their dreams. That was a great video, and no one should be putting girls down, they can do sports just as or even better than some boys, and plus they have come a long way with protection when it’s that time of the month, so there is no reason to quit!! We need to tell girls they can do anything they put their mind to and not let anyone say they can’t because they are girls. We should stop being silent bystanders when we see sexism. We should encourage them and show them women who have achieved Olympic medals. Nice Video. We need to keep encouraging and supporting the girls. It was a great video. We need to be standing behind our girls and encouraging/supporting them in whatever they want to try. We need to let them know that they can do anything that they set their mind too. Girls can do everything Boys do! We can get them outside early and often! I would like to see more equal funding for female sports teams in the school systems. Or, perhaps have co-ed sports teams exist for all school related sports. If we’re looking for equality that supports girls to continue playing sports we need to make the teams accessible regardless of gender. We need to teach our sons and daughters to see sexism where it exists, and to speak out against it. I would encourage girls to check out all the great women in sports like Hayley Wickenheiser, Clara Hughes and many others who pursued the sports they loved and excel at. If we have sons we should let them know that they should never put down girls and encourage them to join in on sports. I think we should believe in them . Give them the confidence to be able to be anything and everything. To reach for the stars and never stop dreaming. Encourage participation in all sports, and stop talking about “its for girls” or “its for boys”. That really irks me. I saw this as an ad before a YouTube video I watched the other day, and it was the only ad that I didn’t press “skip ad” on in a long time. I played rugby in high school, so I have heard all of the “girls can’t” nonsense out there. I above all like to set an example for young girls out there. Girls are just as entitled to play sports and be great at it as much as boys! There are some really talented female athletes out there! Girls rock! We should tell girls that they can do what they want and encourage them in their choices. Keep encouraging them to participate, remind them of all the great women athletes and be a good role model. We need to keep encouraging girls to continue playing #LikeAGirl , and letting them know they can do whatever they put their mind to. We need to stop making feminine synonymous with quiet, weak and pretty. GIrls need to feel like they can be strong minded and strong physically without it taking away from their femininity. To help keep young women playing #LikeAGirl I think we need to model that behaviour. We need to show with our actions that we can be strong and confident and accomplish what ever we set out to do. I think the best is it encourage them to do the best they can and stop using “Like A Girl” terms to talk down to other girls or kids and let them know both girls and boys can achieve the same level! We need to boost their confidence and reinforce that there are no such things as boy’s sports. I’m always encouraging my girl to try new things…..and don’t give up.! Girls need to know that they can do anything they put their mind to! I think boys and girls should be treated the same. I think that what needs to happen is that we need to break down the stereotypes and just let them be who they are and stop with the boys should be like this and girls should be like that. We’re all people, and gender is largely irrelevant. We should get young girls started in sports at an early age and give them the confidence that they could do anything. We should keep encouraging and supporting our girls. Great video! This is a wonderful video. We need for our girls to be confident and we, the parents, make that happen. I think we all need to keep supporting girls in sports. It doesn’t have to end if they find other interests like boys. LO . The upcoming Olympics should be a great motivator. Inform our kids of the benefits of staying active and encourage them in whatever activities they want to do, even if it doesn’t look like a traditional “sport” (walking, swinging, gardening) as it may lead to that. We definitely need to lead by example, and show our girls that we can do ANYTHING despite what anyone says! By having more positive, strong female role models. I tell my nieces that nothing is impossible for them to do and show them the example by continuing with my own sports. #LikeAGirl. We need to encourage them whatever they want to do! Independent play is a great way for girls to develop self esteem and grow to take leadership roles in sports. Great Video, We should encourage them and give them the options of doing and participating in anything they want to. I think we should encourage all kids to do their best in whatever they choose and avoid the sexism. 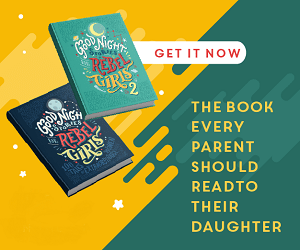 I have two preteen girls and I have always encouraged them to pursue whatever they were interested in, whether it was more boy- vs. girl-oriented. Our girls should feel pride in themselves and encouraged in their goals and dreams, not pushed down and bullied like I was. We should use words that are encouraging for their self-esteem and build confidence. Do not use words that say they can’t do something because they’re a certain gender. Great video. I believe that we should encourage girls to keep playing sports even if it is a “boy” sport by helping and proving to them with practice and hard work anyone can do anything they dream of. I also believe as a society we should quit labeling such activities as “boy” or “girl”. If my daughter wants to play football and my son wants to be a cheerleader I will stand behind them 100! We can be who we are & the best we can, doesn’t matter on the day. #LikeAGirl. I think we can lead by example as well and participate in sports to show our girls that moms do sports. We need to encourage them and motivate them to follow their hearts. Focus should be made on the real values, what are their dreams and goals, instead of media pressure on how to look good with unrealistic fashion models. We should always reinforce the fact that girls can do anything they put their mind to it. The sky is the limit. This is a great video. It is so important to do everything we can in our communities to ensure girls are instilled with a sense of self-love and confidence at the earliest age. Everything they need to have the life they want is already inside of them – but we need to encourage them to ensure they have the confidence to believe that. Girls need to know we rock! don’t even let anyone tell us we can’t do anything or we are not good enough. We push harder, we strive for better and we keep going no matter what! We are strong and should be confident in all we take on. Of course we play like girls! And that is okay. encouraged to follow their dreams and participate in activities they love. I think it’s good to encourage girls to play sports. Sports don’t need to be gender specific! Kindness and encouragement go a long way to build self esteem! My niece still plays softball and she is in her late thirties. I tell her all the time how fantastic that is. We can’t just tell them things to empower them, but also show them what is possible by action/example. We need to encourage, motivate and lead by example. We need to encourage & empower our girls. We also need to set a great example for them. Be the best role model possible, and teach them anything is a possibility!!!! Anything a boy can do GIRLS can do better! Show support for the things that they are interested in and encourage them. We need to provide better and well supported opportunities for females in sport at high levels so those starting have more role models. We are very supportive of our girls, we encourage them to try their best and let them know they can do anything. Everyone needs to be encouraged, boy or girl, to do what they love. Gender doesn’t need to be a barrier. Women need to be empowered. I think it starts at home, to give encouragement, and positive affirmations to young girls to help with their confidence and self esteem that they can keep playing sports. Not only is it healthy to play sports, and a way to stay active (and be busy and out of trouble) but they get to make new friends on their sport teams, and that being a part of sports that doesn’t necessarily favor women isn’t a reason to not try or participate. That it is actually more reason to do it, to prove others wrong. It always starts with one person to bring change. Encouraging young girls with sports, will carry over into their adult lives and other areas where they might face criticism or be told they can’t do it. YES they can! We need to encourage girls starting at a young age and we can set the example by becoming a role model by the words we say and our actions. Keeping girls going in sports is a great idea. Girls need to be encouraged in anything they wish to do, including sports. You never kn ow what you can accomplish until you try. Start getting them outside early to encourage s love of physical activity. encouraging strength and confidence is important! We all have to be role models. If we are all involved with sports, even in a supportive capacity, it shows that sports are a normal part of life. Girls should be encouraged to try different sports, so they can find a good fit. There’s so many sports opportunities around today compared to when I was young. Girls can accomplish everything they put their minds to. We need to watch our language around girls. Talk more about their abilities and interests rather than their appearances. I think that every sport that is open to boys should also be available for girls to play. First thing I want to say is that I like P&G’s campaign emphasizing the power and strength of women; starting with their ShineStrong campaign back in 2013 through Pantene; they have applied it in different ways with different products (like Always) and I think it is wonderful. I was lucky to have multiple women in my life who encouraged me to be who I was and pursue what I wanted to. I have a biological mother who showed me how to be compassionate, strong and stubborn due to her mental illness. I had a Nanny who taught me love, nurturing, questioning of everything, etc. I had an Aunt who taught me power, courage and how to defend myself in a boardroom, in an MMA ring and in a war zone. I have been lucky… that it took a village to raise me and I think that is of importance. Young girls need that, a village. I am a staunch feminist, proudly so; I am a boss. I still surround myself with powerful, strong women who never apologize for anything. It takes a village and little girls learn from other girls and especially from role models and other women. Increase self esteem within our girls! #LikeAGirl…we need to encourage our girls…. Great video. Go out there and have fun. You can do or play anything and have fun doing it. We need to change our own thinking so that we don’t pass on our wrong thinking to our children! We need to encourage girls to let them know they can do/be anything they want. Great reminder to empower girls everywhere to be themselves! I am the mother of a teenage daughter and I think we should focus in our conversations with our daughters more on education, sports, and healthy body image than on food, diet, cosmetics and how to look “pretty”. I often remind women about the great new achievements that are always happening for them in sports. Just like adding of women in wrestling and boxing. Keep encouraging women to do whatever they want and achieve their goals and dreams! This needs to start in school! I think we should focus on each girl as an individual and not treat them all the same. To help young girls be more confident parents should reinforce the idea that make-up and wardrobe are places to experiment. If lots of make-up helps a girl feel confident, we should allow them to wear it!